Paul Freedman, a medieval history professor at Yale, has been not-so-secretly flirting with food history for a few years now. First there was the James Beard-nominated Food: A History of Taste which he edited in 2007. 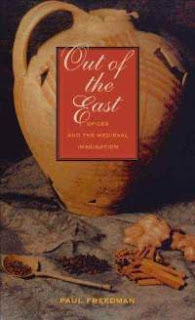 Next came Out of the East (2008), a fascinating (and very readable) history of the medieval spice trade. 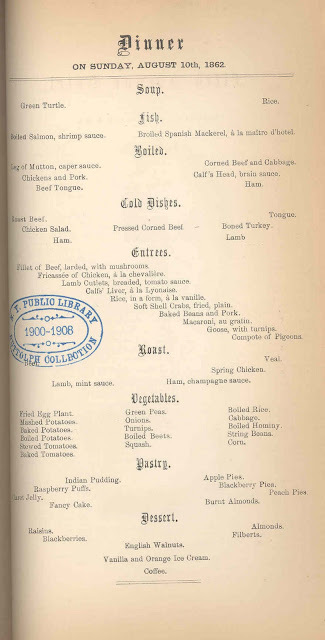 And now Freedman has focused his attention on American food history by fastidiously documenting every dish found on thousands of early and mid-19th century hotel menus (Fifth Avenue Hotel, the American Hotel and others), to understand what people -- at these tonier establishments where menus were printed daily -- were eating when they ate out. Among the surprising results: lots of macaroni. The fruits of his labor have been published in the March, 2011 issues of both Gastronomica (short version) and the New England Quarterly (long version), and Paul has generously agreed to answer some questions about his latest project for Cooked Books. CB: You teach medieval history and have for quite some time. What attracted you to 19th century American dining habits? PF: There were a few steps. I wanted to write about spices in the Middle Ages and why they were so popular. That is what first interested me in the overall history of food. I became interested in other eras and in particular what sorts of food were prestigious and which lacked prestige. So in the Middle Ages spices were associated with noble status while root vegetables were for peasants; organ meats were prestigious in the 19th century, poor people's food for most of the 20th, and now fashionable and high status again. When I was at the NYPL's Cullman Center (2002-2003), I was working on the book I eventually published on spices, but the menu history exhibit organized by William Grimes fascinated me. I'd date my interest in New York and 19th-century history to that exhibit. CB: How did you go about finding menus to consult? 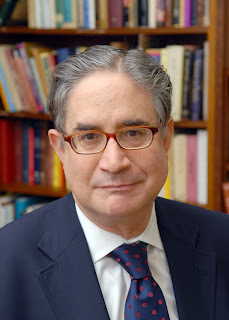 PF: I began with the NYPL and its immense collection. Others who work on the history of food, many of whom I met while editing Food: A History of Taste, told me about other libraries such as those at Cornell, NYU, the Culinary Institute of America or the New-York Historical Society. You, Rebecca, were very important to me both in helping me with the NYPL material and we visited the authoritative private collector of menus Henry Voigt in Delaware at the suggestion of Darra Goldstein of Gastrnomica. In the last couple years I've tried to find out about state and local historical societies, some of which have great menu collections. 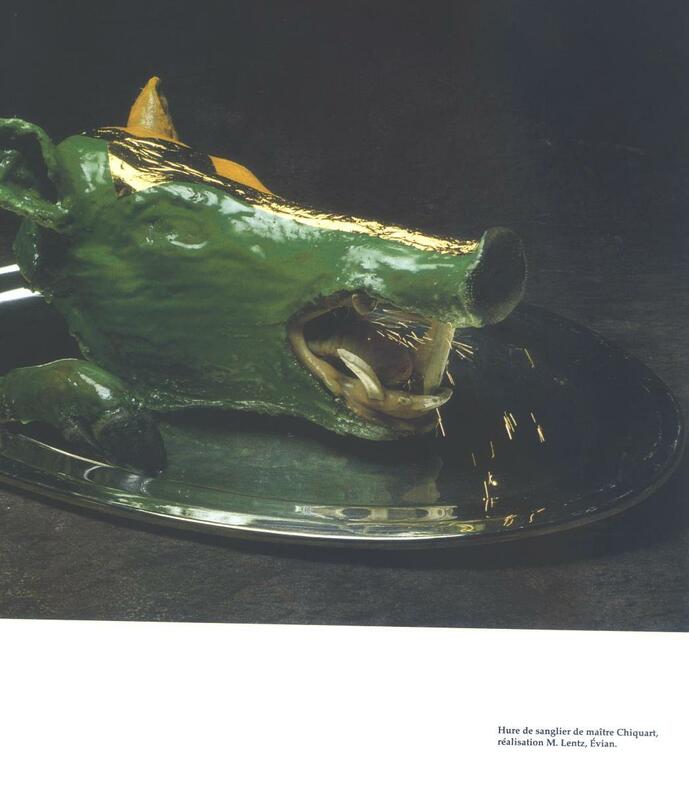 CB: Turtle Soup, Canvasback Duck, Mutton...those are familiar 19th century foods to many people. What dishes were you surprised to see well-represented on the menus you consulted? PF: Well some of these game birds (like canvasback ducks) I had barely heard of or never heard of. The most surprising common item is macaroni. In the menus I've examined (several thousand of them) this is the most common item among the category of "entrees" or "side dishes", a middle course that changes the most from day to day and that involves the most elaborate cooking techniques. There were a dozen or so varieties of macaroni, mostly boiled with sauce or boiled and baked, usually with cheese, but also sometimes with meat or meat gravy. This was not what we would call "comfort food" but rather considered elegant. Other surprises: so many stewed game items such as salmi of duck, or snipe, or goose but also of squirrel, venison and other meat items. A lot of calf's head with various French sauces. Hearty, you might say. CB: Which dishes do you think deserve a comeback? PF: Venison and game generally-- both because there are too many deer for the pathetic habitat we provide in much of the Northeast, and because it is tasty, even delicious, sustainable, versatile. Obviously not game that is endangered or scarce, so I don't expect to see canvasback ducks again. Another category: organ meats which although chic, are still a pretty small niche. Chicken livers might be a starting point. Here again, not only are they common, there are too many of them since lots of chicken is eaten, but most liver goes to waste (or maybe into pet food). Like many people there are some organ meats I like (brains, kidneys) and some I don't (tripe, hearts). All of these are common moderately luxurious dishes of the 19th century in America. I don't know that any of this is going to make me terribly popular, but there is my answer. CB: You also teach a food history class. Is this the first food studies class offered at Yale? What's been the response? PF: There are other food studies classes at Yale, especially those dealing with obesity, body image and to some extent sustainability and agriculture. On the graduate teaching level we've for a long time had an Agrarian Studies class that is very popular and touches on food-related issues. This is the first food history course, I believe. There are also now courses on Italian food culture (Italian Dept. ), Women and Food (Gender Studies), and Food Writing. 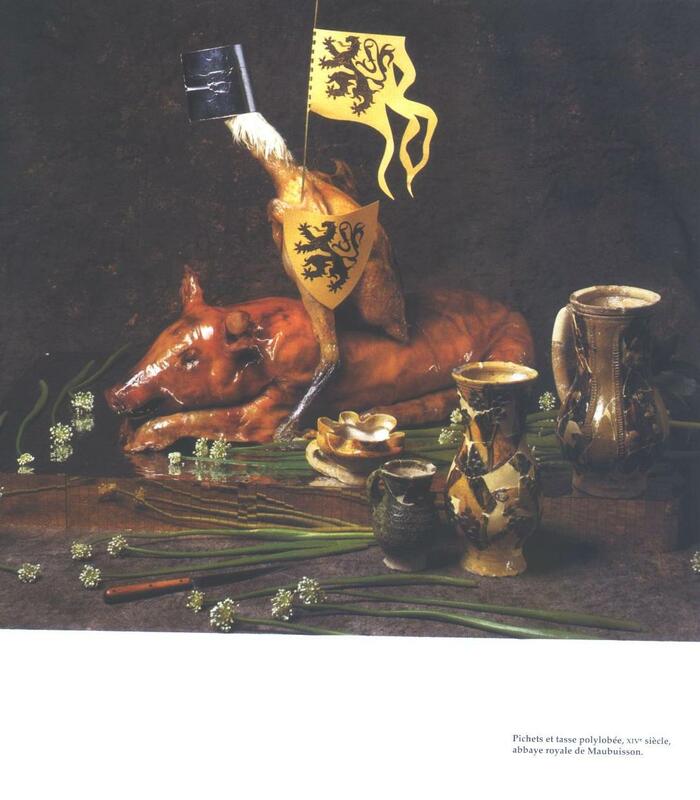 CB: Finally, what are some of your favorite food history books? Cookbooks? 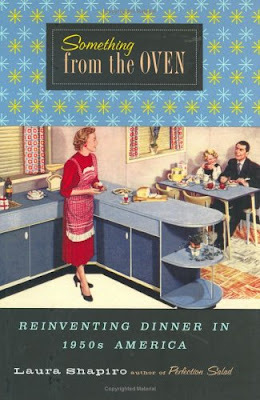 PF: I'm a great fan of Laura Shapiro's books, especially Something from the Oven. 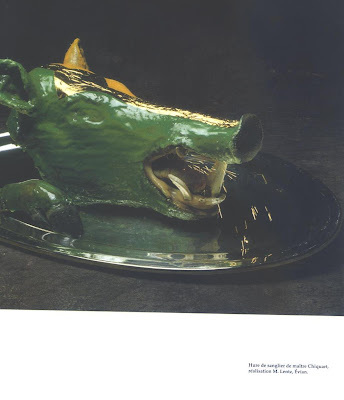 For the Middle Ages the most over-the-top book (that I strongly recommend) is Fetes gourmandes au Moyen Age, in French, but the pictures recreating medieval banquet items and served on medieval dishes and with medieval utensils are astounding---- green glazed and gold-foil boar's head breathing fire, "armed rooster" (a cooked rooster holding a lance and shield, riding an orange-glazed suckling pig). My favorite cookbooks, beyond the well-known ones, are The Nero Wolfe Cookbook, Pierre Franey's two 60-Minute Gourmet books (in part because of the notion in the late 1970s / early 1980s that 60 minutes was fast), the marvelous recent vegetarian Silk Road Cooking, and for actual use (I'm sure this dates me), the incomparable Cucina Fresca. For more about Paul's research and findings, check out his wonderful articles in Gastronomica and the New England Quarterly. Both journals are available at the New York Public Library. Thank you for this interesting interview! Just got Mr. Freedman's Out of the East from the library and am loving it.